First, Din Tai Fung launches in the Bay Area this May. Then, Taiwanese-influenced supermarket 99 Ranch opens its first East Coast locations end of this year. And now, Taiwanese 7-Eleven open their first U.S. locations early next year!!! Right now, news is still early and only being reported in Taiwanese newspapers but confirmed cities include Los Angeles and NYC with a yet undetermined location in the Bay Area. Seattle, Chicago and Houston have been mentioned for the possible fourth city. 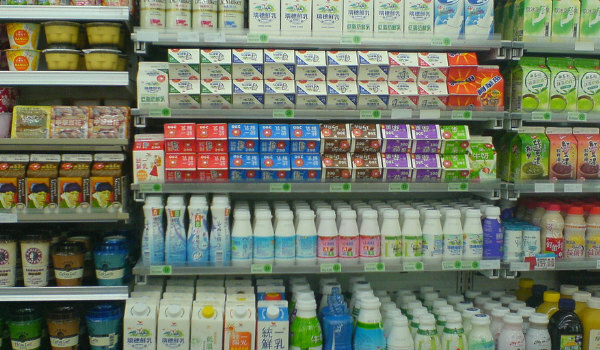 For those unaware, Taiwan has reportedly the highest density of convenience stores per person on the planet and those convenience stores are the greatest thing ever. Taiwan 7-Elevens (and convenience stores in general—Family Mart, Hi-Life, OK—we heart you all) are famous for being open 24 hours, found on every corner and useful for everything: You can do your dry cleaning, pay bills (electricity, water, insurance, speeding tickets), buy train & airplane & concert tickets, eat (full hot meals), print, mail packages, clothe yourself, use wifi, drink (even alcohol), do online banking (hopefully not while drinking)—about the only thing you can’t do is live there. But 7-Eleven should really look into that and Airbnb itself or something. 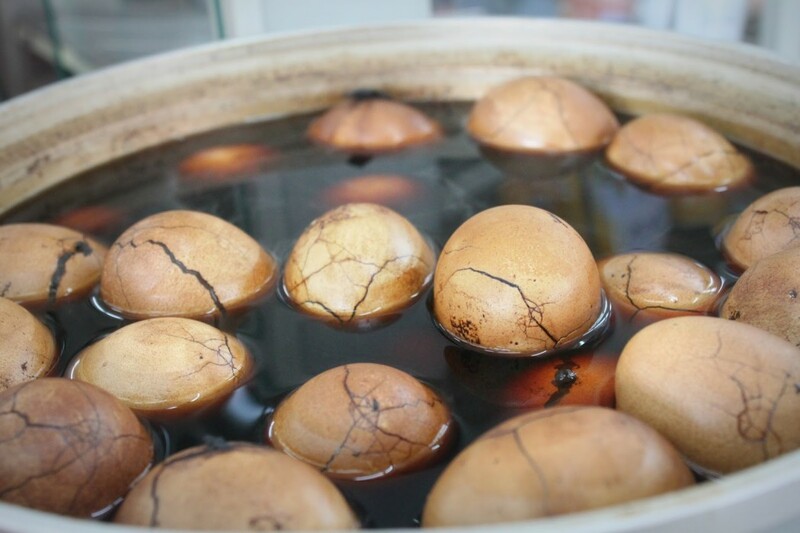 The Taiwan 7-Elevens in the U.S. won’t have all those capabilities yet, but the ones in LA and NYC will be open 24 hours and all locations will offer tea eggs, the typical oden-like hot food and Taiwanese fried chicken. Furthermore, all locations will implement the stickers and lottery system! FYI, purchases at Taiwanese convenience stores net you multitudes of little stickers which you can then collect and redeem for the cutest trinkets you’ve never imagined. Plus, the store receipts you receive enter you into a lottery to win actual money. Late-night ramen, cuteness and profit—what more could you ask for?? Will update with more news as it comes. If you see any new info or translations on the new 7-Elevens, please post in comments below! UPDATE #1: So excited to report that last year’s Taiwanese perfume craze “TofuTofu”《豆腐豆腐》will be sold EXCLUSIVELY at these new Taiwan 7-Elevens!! UPDATE #2: Responding to everyone’s #1 question—yes, these Taiwan 7-Eleven’s will be using the trademark door-opening jingle—a sound apparently as comforting as that Taiwanese garbage truck music. What about security? US is unlike Taiwan where things are safe. 24H convenient stores gets robbed. Will Taiwanese 7-11 only open in wealthy neighborhoods with large Asian population? Do they have “open-chan” products for sale ? and with the DING-DONG sound ? 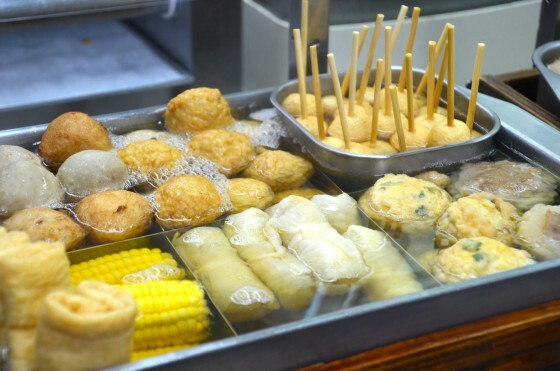 So Mr. Stinky Tofu has great imagination beyond our understanding. You should’ve put yourself onto the list of products sold at 7-11. Anyway, Happy April’s Fool. 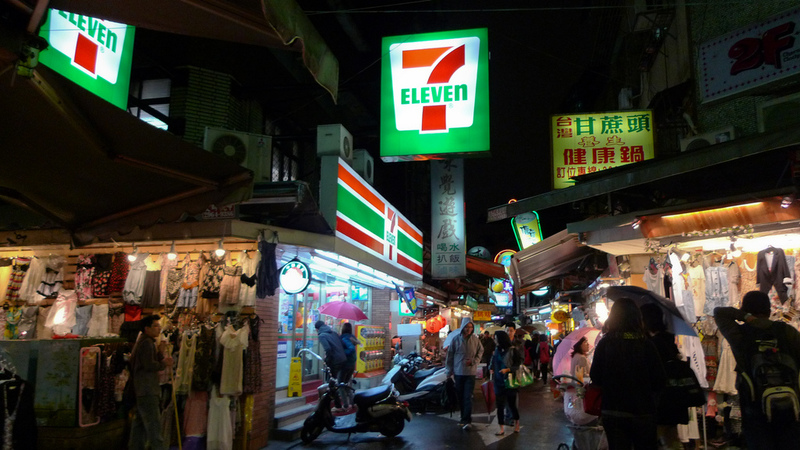 Sorry to burst the bubble but Taiwanese 7-Elevens are anything but convenient. Other than location, you can end up waiting a long time to buy something simple while crowds of people in front of you buy coffee, pay five bills, have their noodles microwaved and fill out a form to send a package to mama. Avoid these places and your life will be much better for it. To Paul, all you need to do is just walk across street to another 7-11…that is convenient! 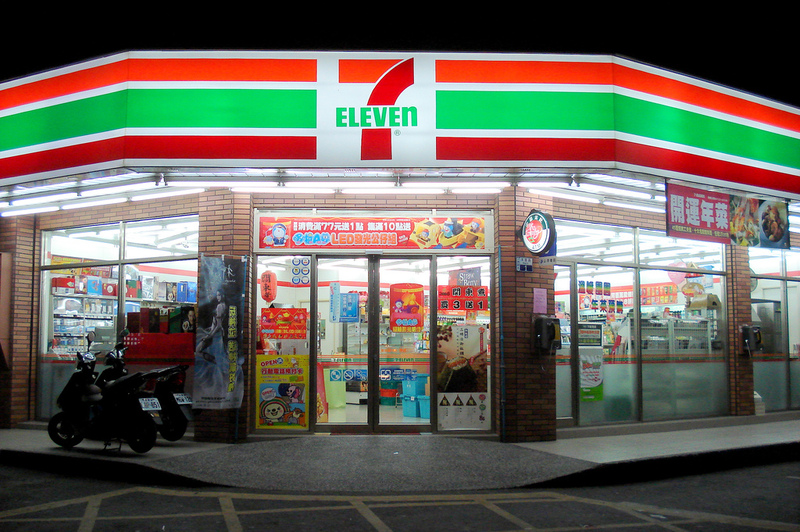 Ironically 7-11 was actually originally American! The irony is that 7-11s are American, and already open 24/7.